The project included a Web and Mobile App (iOS and Android) for WCCLG Sales staff to enter their local reimbursement claims in the field, along with lead details while making calls upon existing / prospective customers. The Web App extracts significant sales information from this data and generates Sales Reports. 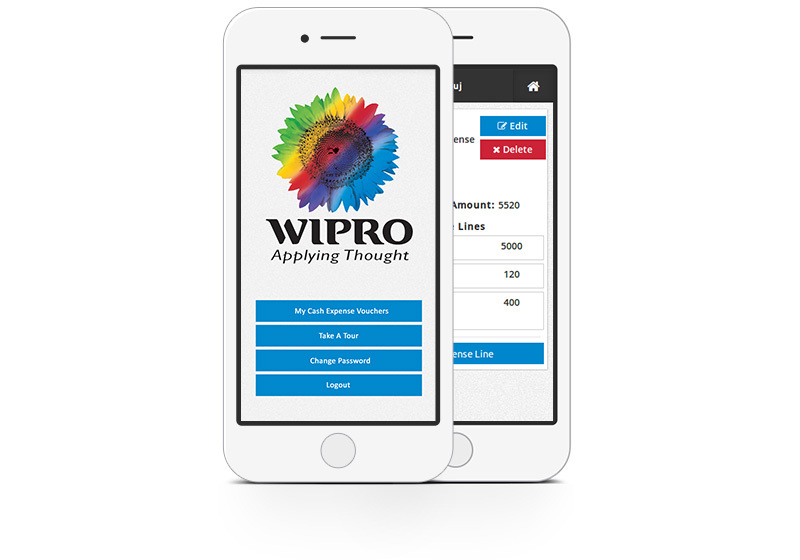 Client: Wipro Consumer Care and Lighting Group. • A User-friendly Sales App, which would make it convenient for Sales staff to fill their reimbursement claims in the field itself. • A Web App to consolidate leads data from the Mobile App and convert it into Sales Data. • Sales Managers would thereafter generate suitable Sales Reports on the Web App. • The Web App would also help Sales Managers and Staff to submit their reimbursement claims. Extensive visits and interaction took place with WCCLG Staff. Balsamiq mockups of the solution were shared with the Client. Poker Planning, Agile process with daily stand-ups, sprints and retrospectives were conducted. Code was shared with Client over Git and progress of work was shared over Trac. Daily interactions were conducted with Client during stand-ups, to ensure maximum communication and quick reactions. On completion, the team visited the Client to deploy the application and to train Client staff. The iOS App was uploaded to Google App Store on behalf of the client. The Client was able to capture critical Sales data, which was usually lost earlier. The Client was also able to generate Sales Reports automatically from the captured data. In addition, Sales staff had an incentive for filling Sales Data, as this was linked to their reimbursement claims. Cucumber, Selenium, Capybara and Robotium.